In addition, the Narrator's Kit provides a set of seven complete starting Blue Rose characters from a variety of classes races, and backgrounds, each with multiple customization options. These sample heroes are great to get you started playing the game right away as well as useful examples for players creating their own characters and as prepared characters for a quick one-time game. 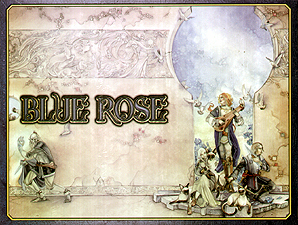 With the Blue Rose Narrator's Kit and Blue Rose: The AGE RPG of Romantic Fantasy, you have everything your need to get right into the fantastic world of Aldea and the adventures of the envoys of the Sovereign's Finest. Your stories are just waiting to be told!